Ciaran Kelly offers up a suggestion for the Cardiff City circus. Pic: Fancy a Neil Lennon calendar for Christmas? Do Celtic have a chance at the Camp Nou? Andy McDougall looks ahead to a huge challenge for the reigning SPL champions. Martin O’Neill has returned to management and Ian Lamb looks at what his appointment will mean for the Blackcats. Ciaran Kelly pays homage to the greatest striker to have graced the SPL over the past few decades. It’s a big couple of weeks for A-League football as a three game tour by Glasgow Celtic brings opportunity to raise the profile of the league. 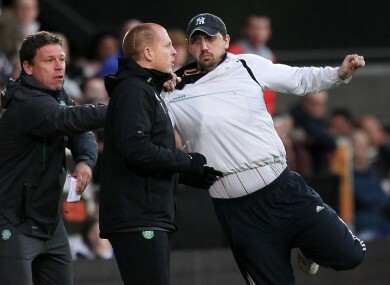 Neil Lennon story so far: how much more can he tolerate? Scottish football columnist Martin Campbell speaks about the terror that has erupted around Neil Lennon and Celtic this season, on the back of the shameful attack on him during the week.